This purchase will pay 298 fishcoins now! Light softbait with a big curlytail! 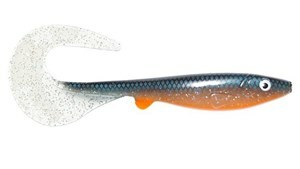 A smaller 12,5 cm version of the McRubber - perfect for big perch, bass, zander or pike! Waterproof backpack from Vision. Updated 2017 version.